This was an interesting weekend. One of my best friends, Colonel Mustard, visited with his lady-friend, Honey Mustard, on Friday night. We went to an outstanding new Thomas Keller restaurant in the Lower East Side called CO-OP Food and Drink. It's really a tasty dining experience. I'm not real friends with Keith Law, but he reads routinely checks his inbox. I should probably recommend Co-Op to him for the next time he's in New York. 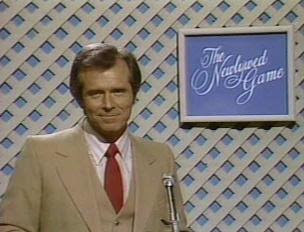 *Early memory: watching 'The Newlywed Game' (or worse), and someone won a trip to the Poconos. 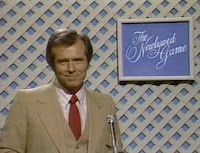 I was about 10 years old, or so, at the time, and thought the Poconos sounded exotic, like Tahiti. So, I thought that was an exotic prize. Looking back now? Please, I'd rather be in Lake Geneva, Wisconsin. Anyway, one of those odd things that sticks with you is what the weirdo announcer said something like "You can't pick your nose in the Poconos." I think it's because one of the questions in the game was something about an embarrassing habit, or something, and the guy admitted to picking his nose a lot. Regardless, what a mundane thing to never forget. Twenty years later and I'm still scarred. We should come up with a list of the ten dullest things we've remembered for at least 12 years. We can discuss the rest of Memorial Day 2011 another time. Quickly, the reason we're here tonight is to amend our Happy Birthday post to Bob Dylan from last week. I listed my 100 favorite Dylan songs but failed to mention Mississippi. No excuses, just sorry, it should be in the Top 25 area... Again, here's a link to our Top 100. Well, maybe we should take it easy with the apologies. I mean, it's not like Dylan's Mississippi is an all-time favorite of millions of fans. It's a more recent song, from Love and Theft. He has played it live, as the video below will show, but the official Dylan website says he's never played it live. If you don't follow our tumblr, you still can.